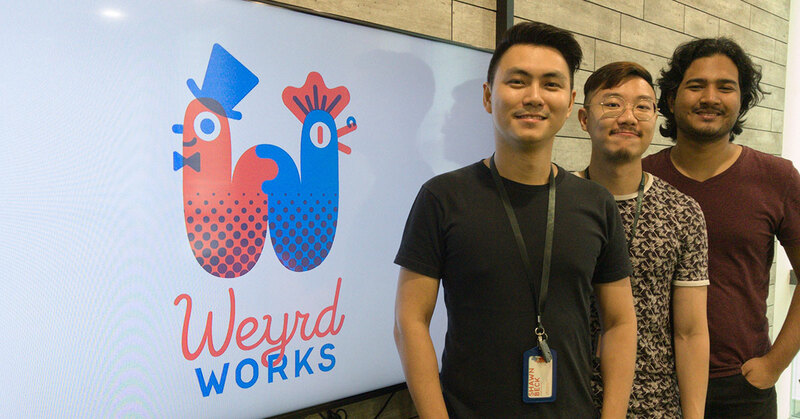 Weyrdworks is a game development studio founded in 2016 by Shawn Beck and JT Yean based in Kuala Lumpur. The founders were also the creators of successful indie game Velocibox, which garnered highly positive receptions and a large number of downloads on the Steam and PlayStation platforms respectively. They now have two titles under the Weyrdworks banner, one of which is an award-winning mobile game called Super SteamPuff. Their second game WarPods is due to launch soon. In 2014, the game Velocibox released on the PlayStation network and Steam to a strong reception. Created by indie game developer Shawn Beck and graphic artist JT Yean, Velocibox earned a ‘Very Positive’ score on Steam and more than 100,000 downloads on the PlayStation network, making it one of the only Malaysian-made games to accomplish such a feat. 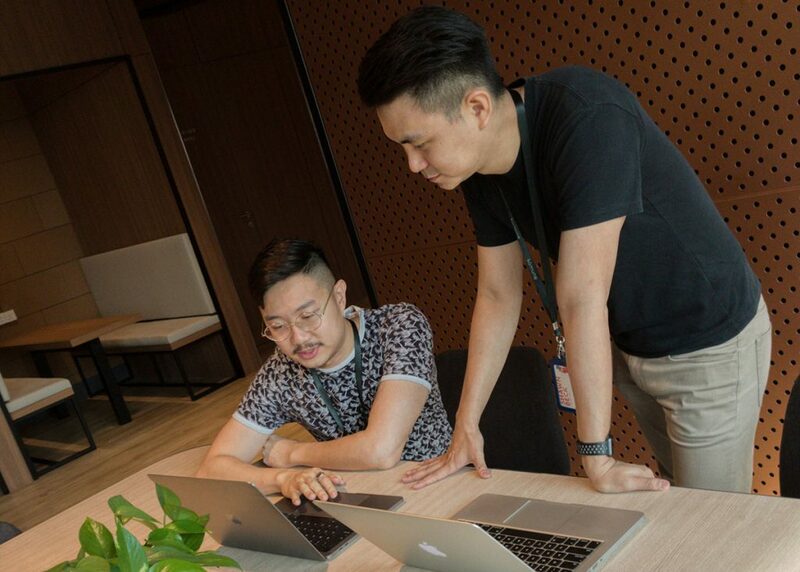 Today, Shawn and JT run Weyrdworks—a game development company inspired by the success of Velocibox, with their studio based in Kuala Lumpur. Just like Velocibox, Super SteamPuff managed to receive some recognition upon its release, placing on the Apple App Store’s ‘Best of 2016’ list and also managing to win the ‘Best Quickplay Game’ category at the inaugural International Mobile Gaming Awards (IMGA) for Southeast Asia. This success, they will hope to emulate with their second and upcoming creation, a turn-based block-breaker called WarPods that is set in space and incorporates elements from Role-Playing Games (RPGs). In WarPods, the game mechanics revolve around a simple aim-and-shoot style game reminiscent of popular games such as Zuma, where you aim at a point on the screen in order to break objects and score points. Additionally, players will also be given to access to 17 unique characters, each with their own unique storyline and skillsets. It’s this variety that the team hopes will be the unique sell in terms of getting people to play their game along with an update system where fresh content is introduced regularly. “We wanted to engage our players closely and deliver frequent updates to further enrich the world we were building,” he continued. WarPods is currently in early access and will be made fully available later this year. And like many other games out there, it’ll incorporate a freemium model that will allow players to play the game as it is or speed things up by making in-game purchases. “But don’t worry, we won’t be sticking paywalls in the game,” he reassuringly added. Speaking on the journey of being a game developer, Shawn mentioned that for most studios like theirs, there are always challenges to overcome, with knowledge and technical know-how one of the stumbling blocks specific to the scene locally. “It’s a bit of a balancing act when it comes to pushing those two sides to work—you don’t want to compromise on the art, but you do want your business to be sustainable,” he added. “I would have to say it’s a continuous learning process and we’re lucky that the game developer community here in Malaysia are always willing to help out each other. This positivity within the scene is also an indicator of the upward trend seen in the industry as of late. Recently, we’ve seen local game devs such as Kurechii, Magnus Games, and Wan Hazmer’s Metronomik receiving recognition for their work from international parties. According to Shawn, this healthy trend is a result of more resources being poured into the game development industry by government-linked corporations such as MDEC. He also added that initiatives like Level Up KL and GameFounders are a massive help in drawing international attention to the local scene. In the same vein, Shawn also had sage advice for aspiring local game devs: keep on learning. To know more about Weyrdworks and their games, visit their website or Facebook page. You can also try out the early access version of WarPods available on the Google Play Store.